Welcome to our 13th IAEG Connector! In this issue, we are putting the spotlight on the last of our executive committee members and the last of the presidential candidates. First, I want to introduce Yogendra Deva who has been our Vice President for Asia for the past four years. His enthusiasm and leadership has been evident in everything he does! Second, I would like to introduce the second candidate team for the presidency of IAEG. This is the first time that two people are running as co-presidents for the position. This is becoming more and more common around the world when you have increasing demands on the job of president and you have candidates who are very active in the leadership of their companies. Ann Williams was Vice President for Australasia during the term of Carlos Delgado's presidency, and Mark Eggers is the current Vice President in that role right now. Both have been very active in IAEG for years and have shown great leadership. The Congress is only three weeks away! Things are shaping up! We have our last conference call today, and I will give you those results next week in the Connector. I am looking forward to meeting many of you in San Francisco! In his 42nd year as a professional Engineering Geologist, Yogendra feels at home only when he stands at a mountainous project site and tries to absorb what lies below the ground. 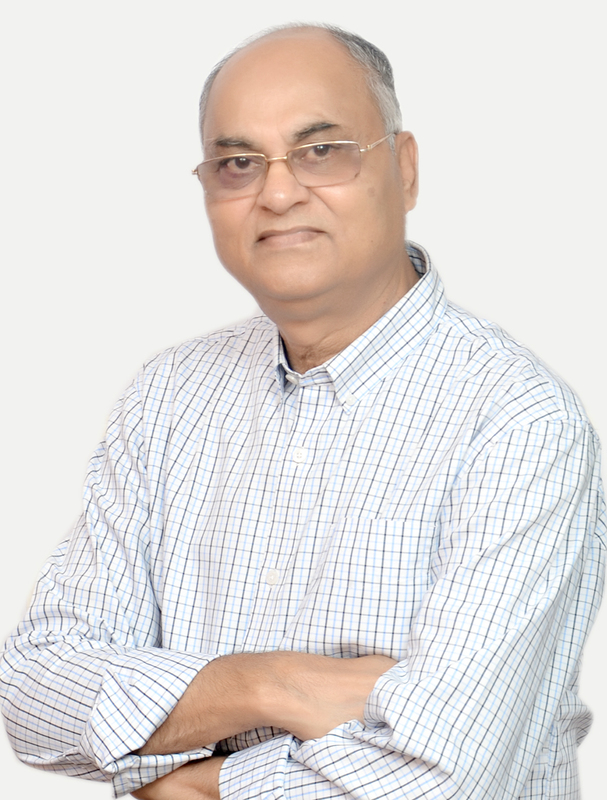 With an Honours and Masters degree in Applied Geology from University of Delhi, and with research and teaching experience of over two years at his alma mater, he served Engineering Geology stream of the prestigious Geological Survey of India for 32 years and then, on invitation, quit the Survey and joined Indo Canadian Consultancy Services as Head-Geology that he has served for 10 years. For the last six years, Yogendra has been making himself available occasionally for freelance consultancy to clients with interesting projects and, since recently, is also associated with SMEC India on regular basis as Senior Consultant. According to him, he doesn't have to work anymore as he has long found what he loves! Growing up on the Indo-Pacific Australian plate boundary in New Zealand exposed us to mountains, landslides, earthquakes and volcanoes in our everyday life. We were curious to know more about how these natural systems work. We both gained master's degrees in Engineering Geology, and 30 years later each of us are in senior management positions in highly respected international consultancy firms. We have been friends and colleagues in engineering geology for many years, each with a deep mutual respect for what the other has achieved in their career. Not just technically but also with regard to the experience and high-level skills, we have each acquired in management and governance of an organisation. Most importantly we have gained key competences in the growing, directing and mentoring of professional staff and the skills of communication and teamwork. And we both maintain roles in universities in New Zealand and Australia, bridging the gap between industry and academia and supporting new generations of engineering geologists. Ann participated in her first IAEG Congress in Vancouver in 1998 and in every Council meeting since Lyon in 2005. She was IAEG Vice-President for Australasia for the term 2011 to 2014, and Mark took over this role for 2015 to 2018. Together we have eight years of service on the IAEG Executive Committee which has given us a real understanding of the operation of our association, its culture and challenges. As our collective time as VP draws to a close, we both feel there is more we can do. 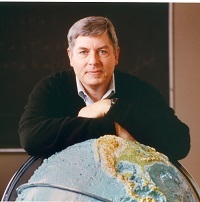 We want to focus that same curiosity that fired our imaginations to become engineering geologists towards helping the IAEG support engineering geologists around the world in meeting the challenges of our profession in a dynamic and ever-changing environment. A co-presidency model will allow us to commit to the IAEG leadership role while remaining professionally active. We bring the energy of two people with complementary skills. For a number of years, executive members have contended with the questions of relevance and the value of our association in the world. 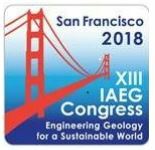 We want to capture the momentum of the current executive to establish the IAEG as an international platform for engineering geology, whether that be education, technology, professional registration, sharing of skills, emergency response and so on. If the IAEG maintains and enhances its relevance and is a central resource, then the benefits of membership increase and membership itself increases. We want to work with a committed team of national and regional representatives, young engineering geologists, the secretariat and past presidents who share our vision and will truly own the success of IAEG. We only have four exhibit spaces left! Don't miss this opportunity to showcase your company to over 800 attendees! Sponsorships start at just $100 and provide great exposure for your company and include an opportunity to place promotional materials in the attendee registration packets. Read more about sponsorship opportunities and register now! Save the date and register today for the must-attend International Naturally Occurring Asbestos (NOA) Symposium featuring internationally renowned NOA research and industry-focused geologists, regulators and policymakers from Italy, France, Australia, Argentina, Germany, South Korea and the United States. This is a rare opportunity to hear how industrialized countries from around the world are dealing with NOA issues without having to spend the time and expense to travel abroad. From the Alps to the Australian outback, to the Andes to the California Coastal Ranges and Sierra Foothills, the issue of NOA, how it occurs, how it is identified, how it is regulated and controlled will be explored on a global scale. Click here for more information, hotel reservations and to register!